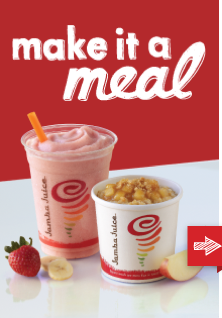 I totally appreciate Jamba Juice providing us with these smoothies so we could try them out ourselves. I can't send you your own gift card, but right now, you can get a $2 off coupon when you sign up for their mailing list. 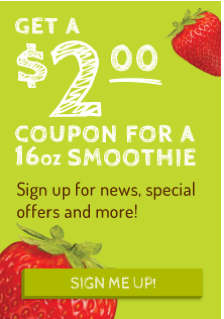 Use this coupon to try out these great fruit smoothies for yourself!